Vought F8U-3 Crusader III "Super Crusader"
The Vought F8U-3 Crusader III was thought by some to be "the best fighter never produced." The Crusader III was an evolution of the F8U-1 Crusader, with a larger fuselage, more pronounced air intake, and a more powerful propulsion system. It retained the variable-aspect wing found on the earlier aircraft. The book follows the development of the Crusader III from conception to retirement. It is filled with period photos that would be invaluable to anyone wanting to replicate this aircraft. 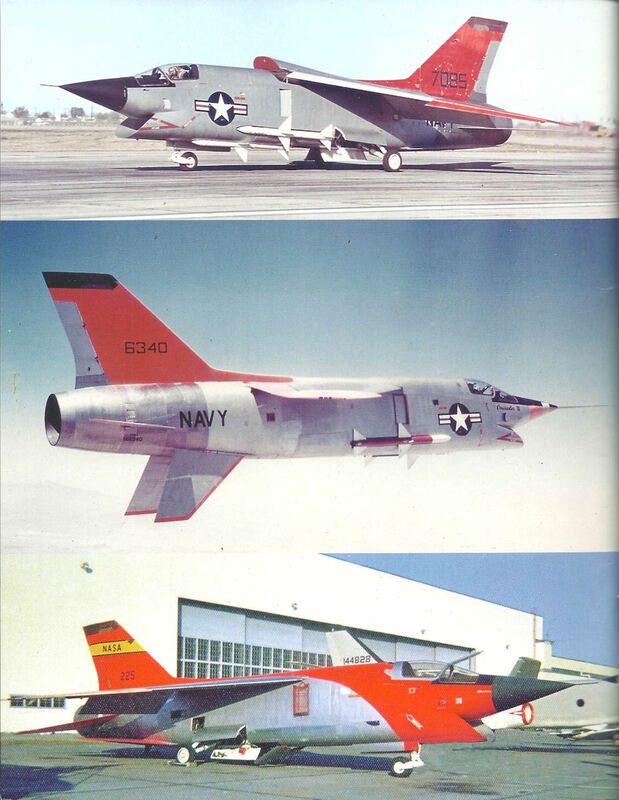 It also includes drawings that were used during the evaluation of the aircraft, comparing it to competitors' aircraft, such as the F3H Demon. 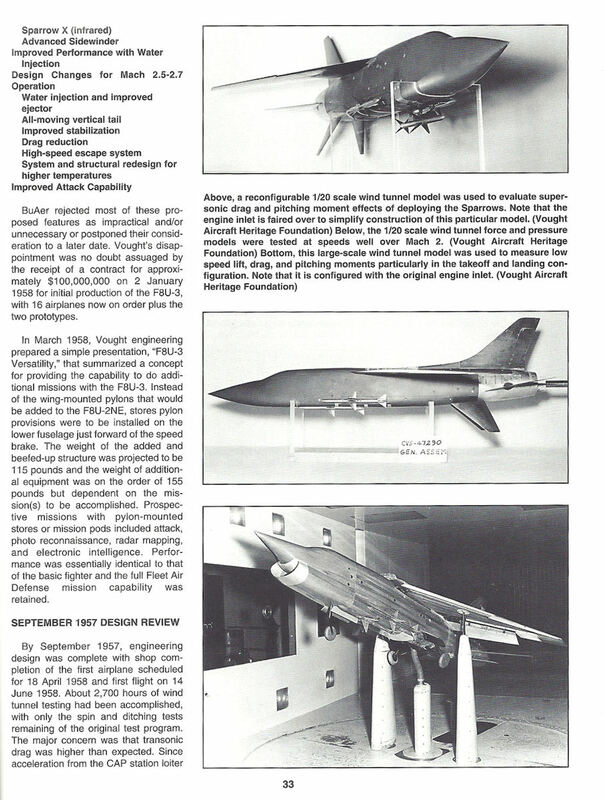 The first section of the book covers the development program, and it's a fascinating glimpse into how a company like Vought approached bidding on a new government program. The drawings detailing the design phase are very interesting and, while the writing tends toward being somewhat technical, it is nonetheless informative. It covers areas like the layout of the cockpit and the configuration of the weapons systems. There is comprehensive coverage of the propulsion systems, from the consideration of using Rolls-Royce power plants to the various Pratt & Whitney engines considered for use in the aircraft, including some good photos of the Pratt & Whitney J58 and J75 engines. Once the design was finalized, Vought built a prototype, which was disassembled and shipped to Edwards AFB on a C-124 Globemaster II. 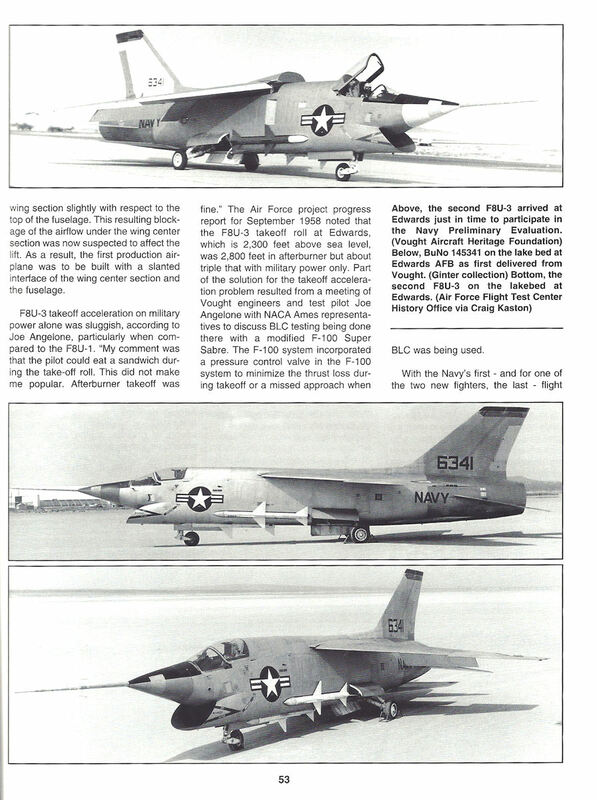 There are good period photos of the aircraft not only packed for transit but reassembled on the Edwards AFB flightline next to the F8U-1 Crusader - nicely showing off the differences in the airframes. Much of the remainder of the book covers the various test flights and evaluations done on the prototype airframes. There are excellent period photos of the aircraft on the ground as well as in the air with the ventral fins extended, and the variable-aspect wing in various positions. There are good close-ups of the aircraft - for example, the tail section and afterburner and missile attachment points. 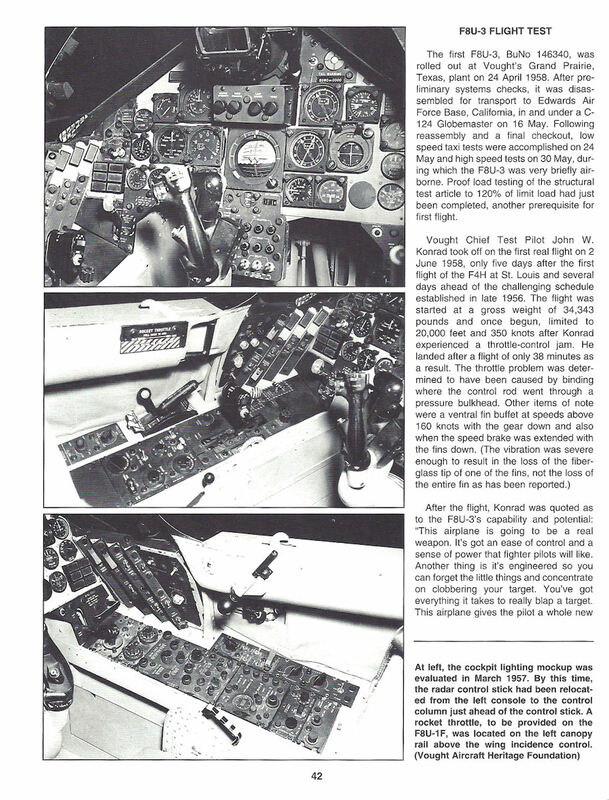 It also includes several excellent photos and illustrations of the cockpit layout. The book closes with discussions on what aircraft was finally chosen as a result of the government competition (the F4H), and the impact of the decision not only on the Crusader III but other aircraft. Then there is a short section on modeling the Crusader III. This is a very technically oriented book, and I did not find it easy to read; however, as a reference guide, it would be invaluable to the modeler. Many thanks to Ginter Books for the review copy and to IPMS/USA for the opportunity to review it.